Alan Dean Foster (1946 – ; first SF publication, 1972) is one of the more prolific authors in our galaxy. His stories are sometimes humorous, often with an ecological or environmental motif, and always entertaining. I’ve enjoyed several of his stand-alone novels, including Glory Lane (what’s not to like about an intelligent bowling ball?) and Cat-A-Lyst (with universal monitors who take the form of cats, of course). The stories I’ve most enjoyed are his tales of the Humanx Commonwealth, especially the Pip and Flinx novels. The Humanx Commonwealth is a galaxy-spanning democracy created jointly by Humans and the insectoid Thranx of Hivehom (like large praying mantises), and Foster has written close to three dozen novels chronicling its inception and subsequent challenges. Pip and Flinx are among the first friends I made in science fiction (in For Love Of Mother-Not), a friendship that has stood the test of time in over a dozen books. Flinx is Philip Lynx, an orphaned empath, able to project and read emotions. 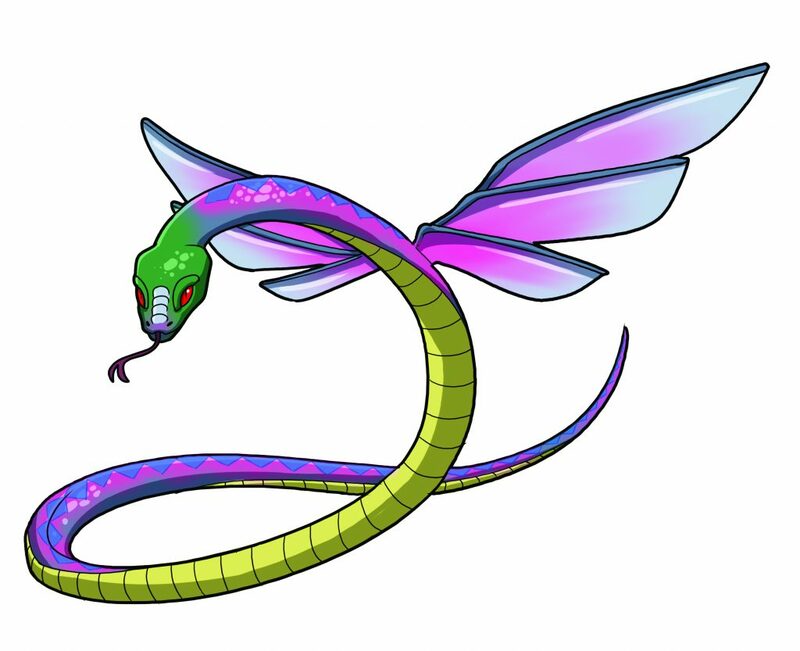 Pip is a minidrag, a flying snake about a meter long. Minidrags are empathic, fiercely loyal to a worthy owner/companion, and armed with a deadly venom.